Damn, It's been a while since I used this account I've been lurking but only recently logged in Good to see you all again! Will D23 be streamed anywhere ? What Do YOU Think Of Sora's New Outfit? If you could meet one person from Kingdom Hearts, who would it be? So anyone else really hoping for a TWEWY world(Shibuya) to appear in kh 3? Favourite Square Enix PS3/360 game? 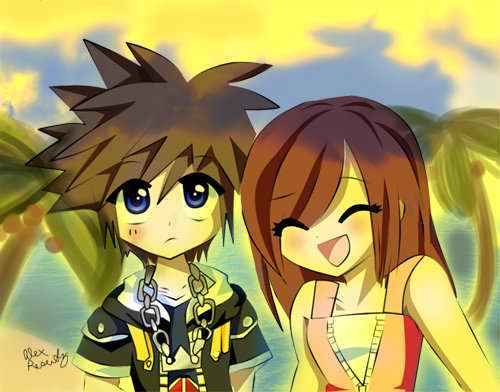 You catch Kairi and Namine staring at you. What would Kingdom Hearts looks like on the 8bit and 16bit systems? Anyone know when we will get more KH3 news or updates ? look here... ive been a square enix fan (or rather I was) for a long time and what ive learned is: square says a lot of things, they also promise a lot of things. they also almost never come trough on what they promise and they don't care for their fanbase but only the money. Well, they did recently confirm that it definitely will not be releasing this year, if that's classified as "news"
Which is the best wii u bundle?